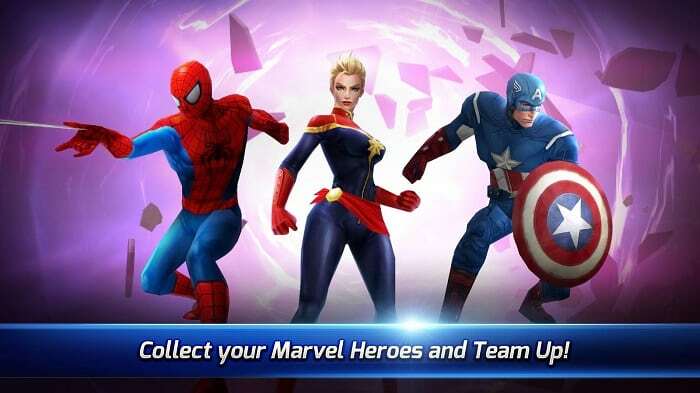 Netmarble Games Corp. aims to dominate the world of role playing video games with its awesome adventure, MARVEL Future Fight. This is the kind of a game that will keep lovers of RPGs glued to their seats playing it. MARVEL Future Fight for PC can be downloaded for free and comes with the best Marvel characters and features. The superhero-themed game requires you to team up the greatest heroes in the Marvel Universe in order to restore collapsing dimensions. You are supposed to send off the heroes to the battlefield to protect the universe and ensure humanity survives. Assemble Your Strongest Team and Weapon. Create your fighting team from Avengers like Captain America, Iron Man and Black Widow. You will also try to include Marvel heroes like Daredevil and Spiderman. Get the most powerful weapons and upgrade them as the battle progresses. Master your skills and impart them to your team to make it stronger than your enemies. You will also need to devise the best strategies and tactics in order to power-up your gaming ability to the level of an RPG. The universe has been designed by acclaimed game gurus. You will come across spectacular landscape and terrains as you fight your enemies. The universe has been spiced up by an original story written by Peter David. MARVEL Future Fight got your back if you don’t have friends to play with. Select the single player mode and get involved in stage-based battles with Super Villains. There are many rewards and bonuses in the single player campaign, such as exclusive content and new costumes. Get Involved in Epic 3v3 Battles. Test your fighting capability by engaging other players in 3v3 battles. Create your best character from the following hero types: Blast, Combat, Speed and Universal. Let your hero face your opponent to determine who is stronger. As the name suggests, these bonuses are available when fighting as a team. Bring together top-notch Marvel characters and lead them to battles. You will earn bonuses and special boosts that will make your gaming more enjoyable. Get Reinforcement via Ally System. If you are finding it difficult to move to the next battle, you can summon your friends through the Ally System for help. It would be easier for you to win the current Super Villain battle when having support from your friends. Do not forget to claim and celebrate the victory as a team. Enjoy Easier Control When Playing on PC. Playing MARVEL Future Fight on a PC is easier than playing it on iPhone or iPad. Use the keyboard to make all controls and enjoy defeating your foes in the most efficient way possible. 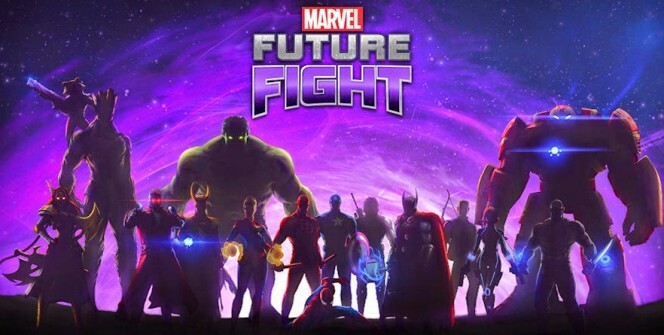 MARVEL Future Fight app for PC is compatible with Windows 7, 8, 8.1, 10, XP, Vista and Mac OS. Download the game app for free on your desktop or laptop, complete the installation process and you are ready to go! Enjoy one of the most adventurous mobile RPGs on your PC. Sometimes when playing MARVEL Future Fight , bluestacks ask you fee to pay but gives you option to download some apps. Every time it asks you just select “Install apps” and continue using it free. I hope you enjoyed this guide, please rate and share. If you have problems running MARVEL Future Fight on desktop or any other issues, leave a comment below.